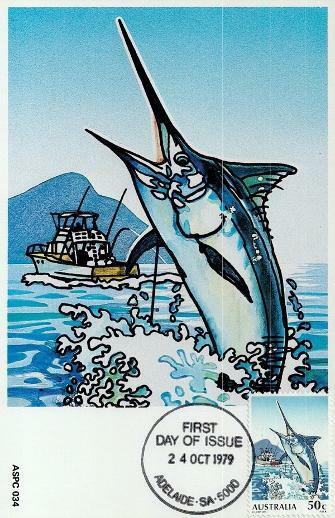 This page is dedicated to old tourist guides, government promotional material, posters, post cards and Australian stamps that involve anything to do with Australian fishing. 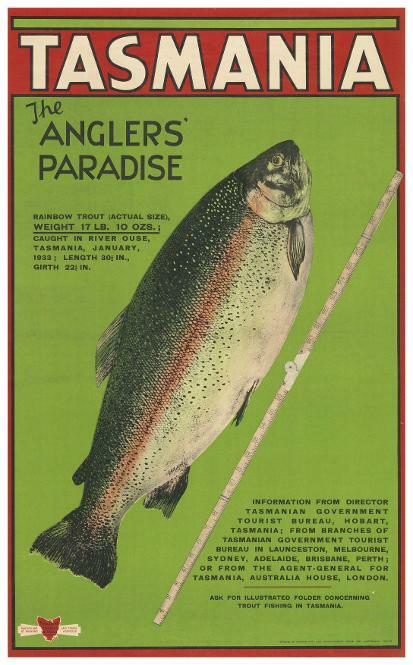 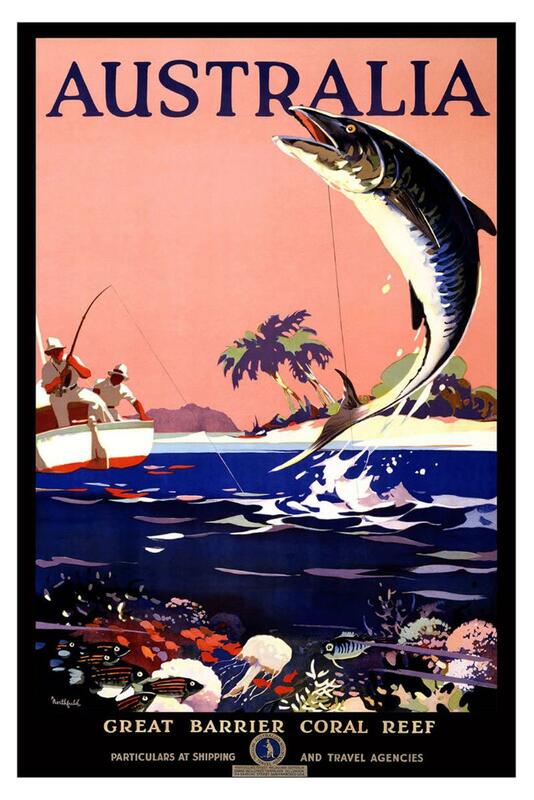 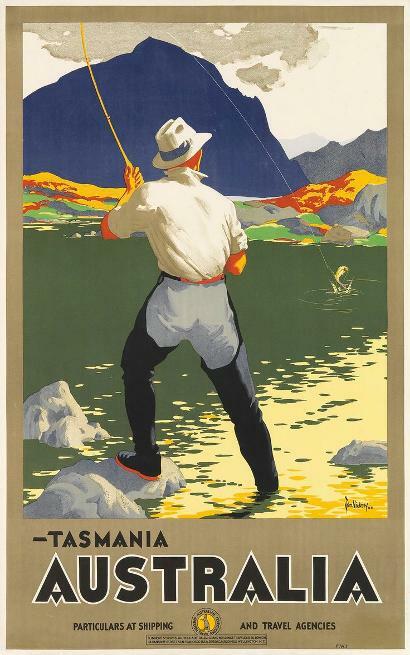 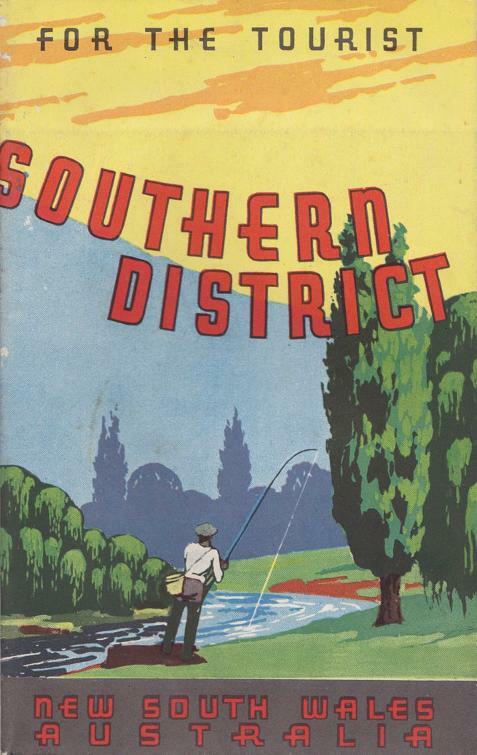 Some of the artwork in these posters is spectacular and Tasmania was at the forefront of promoting its trout and outdoor lifestyle from early on. 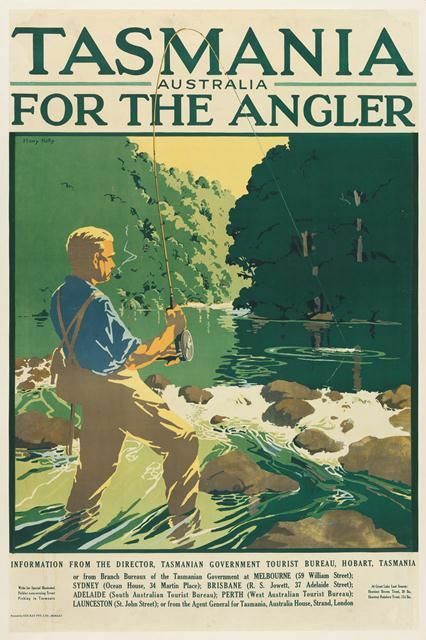 The following are close up scans of old postcards showing fishing or angling themes and they really do give a great snapshot of time and the fishing techniques of the time. 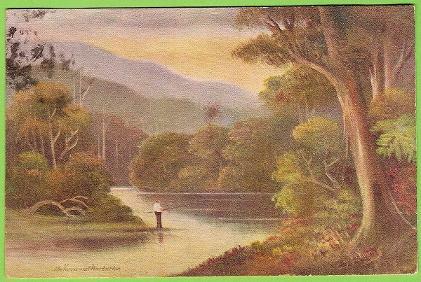 'The Yarra - at Warburton', 1907. 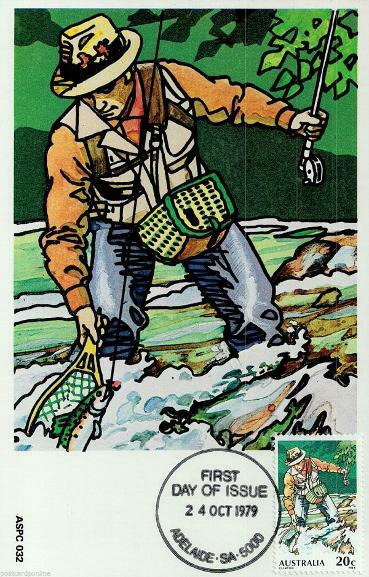 Man fishing in wilderness setting. 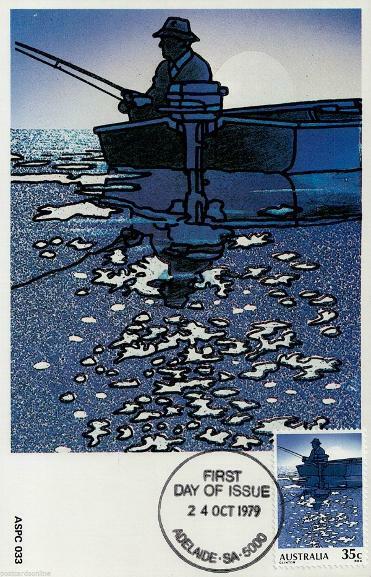 Color card from original unknown artist. 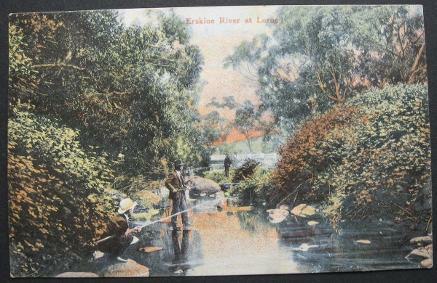 'Erskine River at Lorne', 1906. 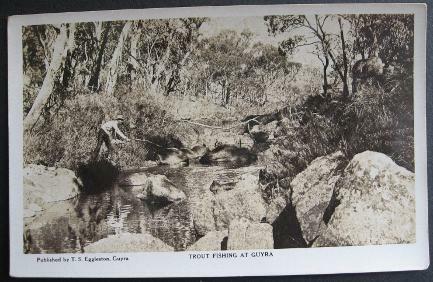 Coloured monochrome card showing three men fishing with primitive rods. 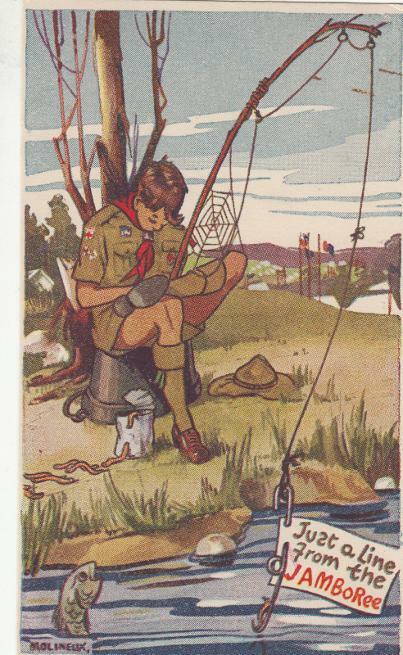 'Just a Line from Jamboree', 1930's. 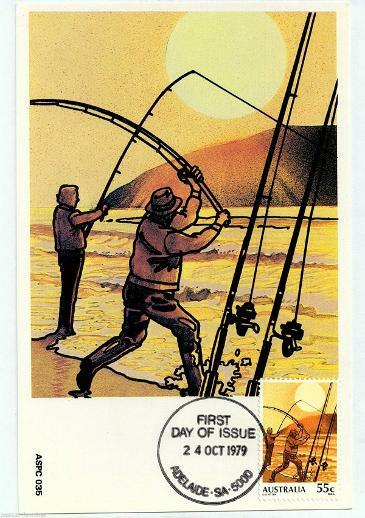 Features Molineux artwork and was a promotional card. 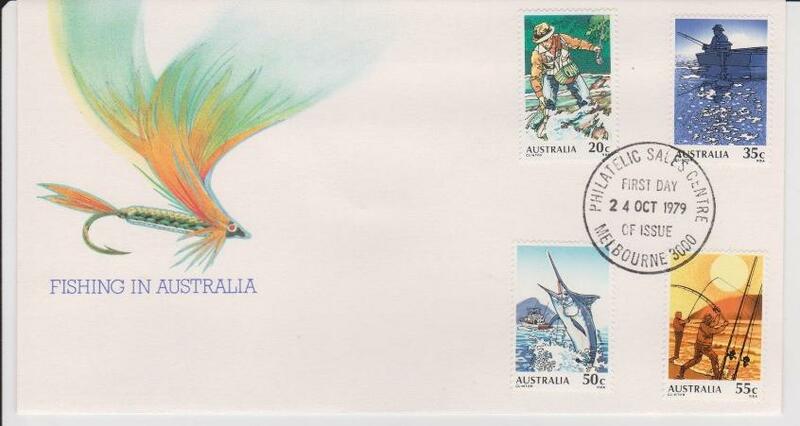 The following are close up scans of stamps and postal releases featuring fishing and or fish related themes.